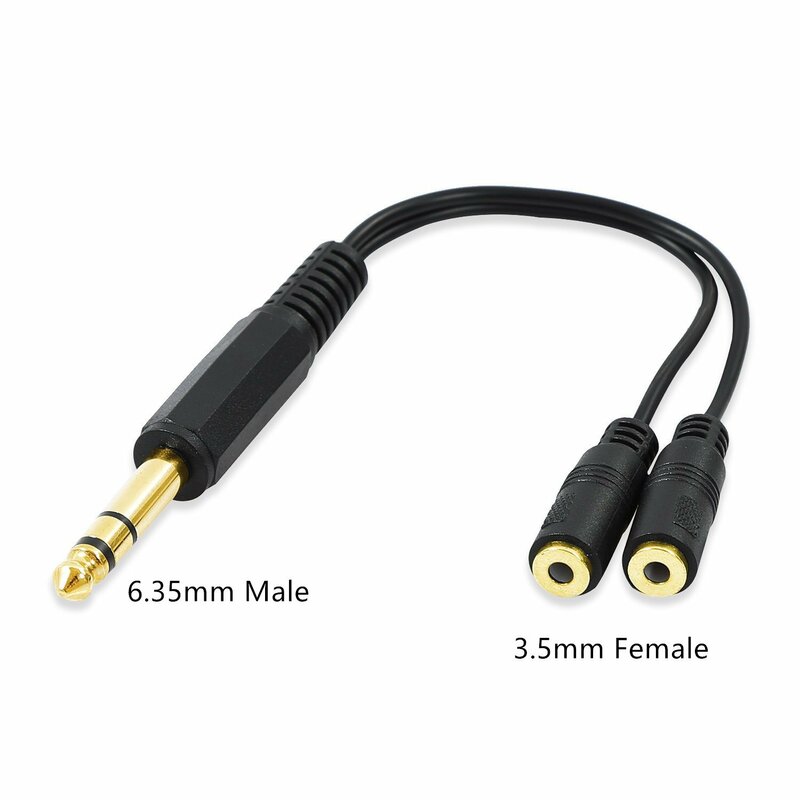 I am looking for a specific adapter that splits a 3.5mm stereo mini-jack into left/right mono WITH 2 RING CONNECTORS. I have two separate speakers (JBL Charge 3) and want to use one as left an the other as right, but they accept stereo-in AUX. All I have found on the Internet is splitters that split stereo to mono with a single ring connector. Problem is that since the speaker accepts stereo connector, one side of the speaker is grounded, which is not what I want. Does that even exist? Am I understanding everything correctly? Are there some alternatives? 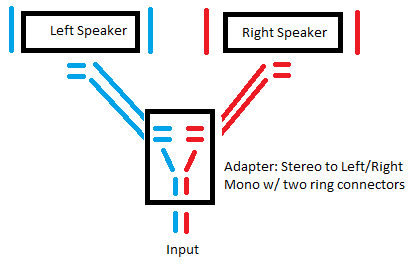 You want to duplicate the signal on both the tip and ring of each speaker. So basically, Source Left (tip) gets wired to tip and ring on the left. Source Right (ring) gets wired to tip and ring on the right speaker. Sleeve on all connectors is Ground and therefore common. Any local electronics store will have the parts you need to wire it up yourself. I have solved my problem by using a 3.5mm to RCA splitter, then splitting each left/channel again with another RCA splitter (making 2 left channel RCAs, 2 right channel RCAs), then merging both RCA ends of the same channel with RCA to 3.5mm adapters. 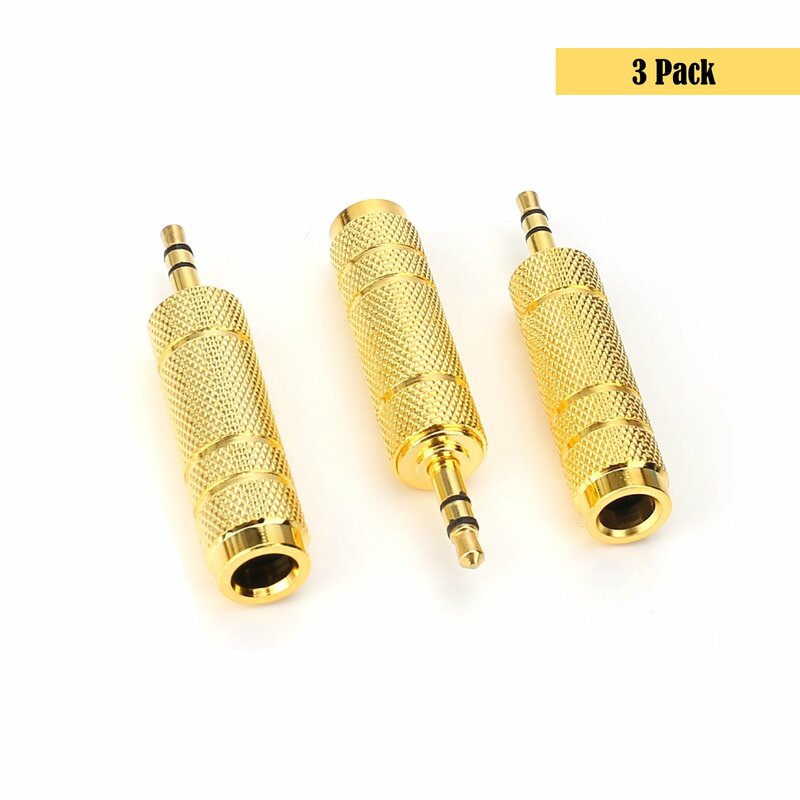 ✅Allow you to connect two headphones or sets of speakers (which use 3 Pole 3.5mm jacks) into a single output splits any 3 Pole 3.5 mm audio jack into two connections. 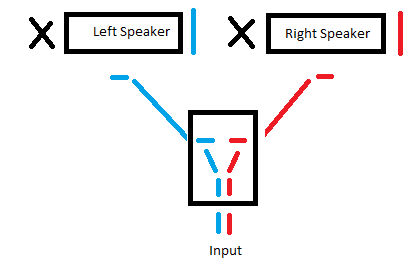 Note: This will not make one speaker "Right" and the other speaker "Left" however. Each JBL Charge has two speakers in it, one left and one right, which is why each Charge wants a stereo signal. It is possible to make one JBL charge only receive the right signal and the other only the left signal, but it will require a more complicated setup. I recommend just sending a stereo signal to each speaker (which the cable above will allow you to do) and see how it sounds, if it doesn't sound good then we can talk about the more complicated setup. Not the answer you're looking for? Browse other questions tagged speakers stereo mono or ask your own question.